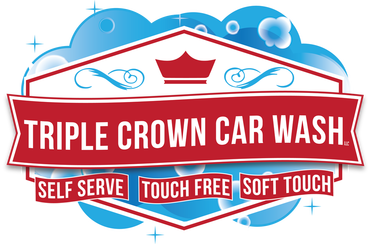 Triple Crown Car Wash, LLC is the FIRST car wash in Aiken to offer an app. Our new app allows you to control every part of your car wash experience through your mobile device. The app makes it easier to operate and navigate through our car wash options. ​Earn FREE vacuums and washes while using it! ​Learn more about our app. Control your entire car wash experience through your mobile device with our app. ​Earn FREE vacuums and washes! We love feedback and positive reviews! If you have any issues, please go to our contact page and let us know so we can fix the problem. But to leave a raving review, please go to our Yelp or Google page! *To leave a Google review, click the Google button below, look to the right of the page for our business to pop up and click 'write review.' You must be signed into your personal account to leave a Google review. Whether you choose our Automatic or Self Serve wash option, you can expect top-of-the-line premium products at every step of the wash process. We truly embrace our motto: "Your Wash. Your Way." As a small, family-owned operation, we take pride in giving you the best options, using the best products, at the best price and value. "Your Wash. Your Way." Using machines with calibrated technology helps minimize waste and keep our car washes environmentally friendly. Ever worry about the safety of those large automatic car wash tunnels? Our Touch Free Automatic car wash options are safer on car bodies along with our Self Serve option. "Your Wash. Your Way."